Bluboo Maya Max is a smartphone that is portable and smart as the name implies. The phone is a 6-inch phablet that has 3GB RAM, with 4G LTE, Android 6.0 Marshmallow. The battery capacity is quit good, as it is coupled with an aluminum alloy body. The price is nothing to write home about, as for me if am to comment on the price, the company tried in making the price cheaper. 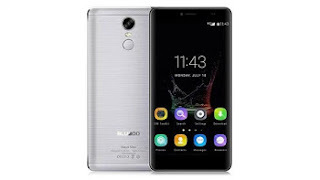 Below comes the full specifications of Bluboo Maya Max device with image.